Last semester, I had the privilege of being selected to be in the annual Undergraduate Techtrek West, taught by Professor Gallaugher. A phenomenal opportunity, the field study/course provided an opportunity for the class to learn the backstories of over 20 Silicon Valley giants, and how they went from startup to blue chip. The class ends with an actual trip out to California, with daily visits to multiple companies. Just to name a few, Facebook, Google, Twitter, Uber, Apple, and Spotify were all on the list. One of my favorite visits was to Square, a mobile payment company based in San Francisco. A typical office in the Valley, the office had an open layout, creative architectural designs, as well as some amazing food. What intrigued me immensely was how they were making payments easier. For those that don’t know Square is a platform that enables merchants to accept credit cards with ease. Previously, small businesses would have a lot of trouble accepting credit cards, which meant lost sales because not all customers would always be willing or able to pay in cash. In order to allow small businesses to grow to the next level, Square came up with a small physical device that was able to connect to the headphone jack of any phone (called the Square Reader). A quick download of the Square app and you were on your way. You could now swipe a credit card, and you would be able to make a sale possible. 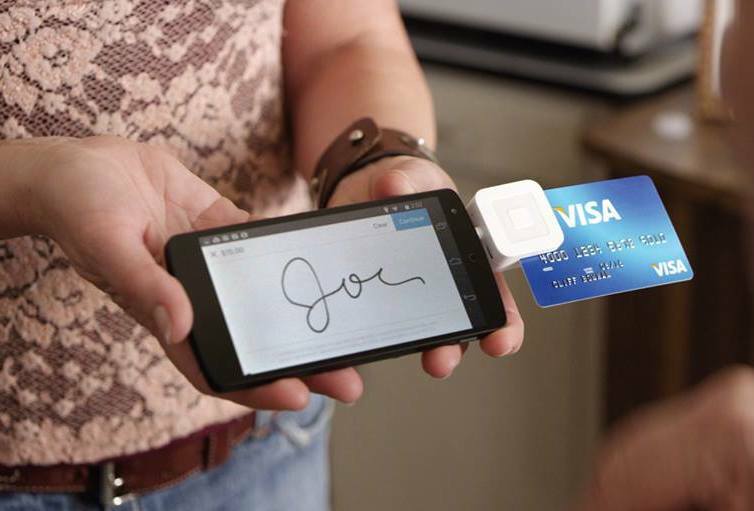 Square is just one of the many ideas that are part of the FinTech space. PayPal, Venmo, and Stripe have all entered the market to compete in this (hopefully) lucrative field. I personally loved Square because, to me, the idea seemed to be genius: help small businesses grow by simply letting them accept a form of payment they couldn’t previously. Square has now expanded their services and now give out loans to these businesses, give payments to the merchants relatively quickly (can even be in a day), and even provide data on how sales are doing. This kind of data can be invaluable to a startup that has a lot of skews of different products. Previously, one would have to physically document inventory, try to make sense of obscure and sometimes misleading sales data, and would have to go to angel investors to get some sort of funding. Now, Square does it all. Another unique piece of Square’s product is their Point of Sale system, which is essentially a stand that allows a business to have a full system where a cashier can input any sales being made, track orders, give receipts, and give full reports. These reports can be extremely useful for businesses because they can actually get data on what is affecting their business and be able to optimize how they expand business. In fact, Square is so confident in their business model that they will send you the Square Reader for free. With accepting most credit cards, Square receives 2.75% of each credit card swipe, which, to a small business, is a relatively small price to pay when you compare it to not being able to accept credit cards at all. But what exactly is this small business market? According to The US Census Bureau, 55% of all jobs are accounted for in this “small business” category. With such a growing market of small businesses, combined with the growing age of digitization allowed for a great marriage of how digitization could solve their problems. The data that Square is able to attain is incredible. For example, Square’s data was able to show that if you want to build a sports stadium that generates a lot of money for both the team as well as the surrounding businesses, it’s important to make sure that the town is pedestrian friendly. This kind of data helps small business owners understand that if I’m in the Bay Area and I’m planning to open a small business around the stadium, I would much rather put my shop in San Francisco outside the Giants stadium because Oracle Arena (where the Oakland Athletics play) is mainly accessible only by cars and public transportation. Although someone may have known about this fact beforehand, the data makes it way more clear for where business will be more profitable. Based on this data, someone can make key business decisions that will affect them for a long period of time. Whether it’s starting your business for the first time or even expanding, people can use Square’s extensive data to find out key insights. As a simplified example, if I’m a barber that specializes in men’s haircuts, I see that the average haircut for a man in Chicago, Denver, and Dallas is the same – $32. However, if I know anything about cutting women’s hair, I would much rather want to be in either Dallas or Chicago, where women’s cuts are $61, whereas Denver only $48. Between Dallas and Chicago, get data about cost of living and you may be on your way to getting the best bang for your buck. Data will lead the future of business decisions, which is why studying things like business analytics can help those entering or are even currently in the workforce. Square has done a phenomenal job of not only finding a great way to help a huge market within the United States but also gather huge sums of data to help companies make key business decisions. Sounds like a very promising business model. I like the way they are looking to expand their service vertically with POS and horizontally with analytics. Must have been eye opening to go on the trip to the valley. How does Square market to small business? Do they use current customers to attract future ones? Fintech companies make financial services more efficient. Like you mentioned this is an Industry that potentially will be very efficient. It is important to note that some of these fintech companies act like banks, administer loans, but aren’t regulated like banks, no financial backing if the company tanks. This is a large risk to users of these services. I will be interested to see government regulation with this technology and how it will alter the fintech services. I’ve always thought that Square was super cool (still get kinda excited when I see that little card reader at coffee shops and know that the cashier is going to swivel the iPad around so that I can sign). I had no idea that it’s become such a great data mine for small businesses. I’m really fascinated by the companies that are adapting to the mobile finance space, which is essential for the future of business, as many have been very successful and have disrupted traditional companies. Curious to see how Square will continue to innovate in this market. Great post. Square was definitely one of my favorite visits on TechTrek! I think they’re addition of products like the POS system have proven to be very successful and have had an impact far past the small plug in device they first created. Regardless, their mission to support small businesses has stayed constant, which is something that was extremely transparent when we visited Square. It was clear that all of the Square employees supported the mission and truly felt that Square tech was making a difference in the world. Thanks for sharing! I enjoyed learning about Square’s vertical expansions and how clients now have access to important data. While the examples you provided regarding foot traffic and hair cuts were very straight forward, most companies have an extremely difficult time figuring out what questions the data can actually answer. Does Square use a dashboard to illustrate the data or do they send hard data to the companies who then have to analyze the data themselves? Also, considering the amount of customers Square has, does each company get to dictate what data is collected or is it universal for all companies? I really enjoyed reading your blog this week! I have always been a big proponent of Square too for providing an easy and affordable way for small businesses to increase sales, while only skimming a portion of the profits the business otherwise wouldn’t have for themselves. Until reading your blog though, I was unaware of the wealth of data that Square has been acquiring. It’s not only amazing that they are able to record so much data, but that they are able to track the trends in small businesses across the United States. I hope they continue to innovate and grow! I went on Tech Trek a few years back, and I was similarly impressed with Square. Of course, a rocky partnership with Starbucks caused them to stumble from “golden boy” status a few years back.